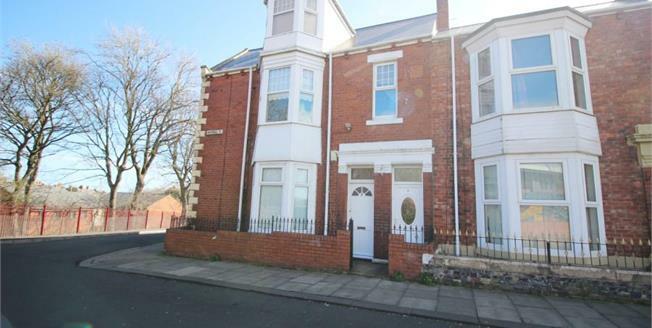 Bridgfords is delighted to offer to the market this three bedroom ground floor flat located on Whitehall Street, South Shields. In brief the property comprises an entrance hallway, a lounge, kitchen, three bedrooms and a bathroom WC. Externally the property offers a private rear yard. Please call 0191 4552475 for viewings. A built in understair storage cupboard with double radiator. Double glazed window to the side with a marble effect fireplace, radiator, telephone and television point. Fitted wall and base units with work surfaces, double drainer sink unit, gas cooker point, space for washing machine, tiled walls with radiator and double glazed window to the rear. Window to the front with marble effect fireplace, radiator, telephone point and television points. Window to the side with a television point and built in cupboard. Double glazed window to the side with a radiator and a television point. Panelled bath with shower over, pedestal wash hand basin, low level WC with radiator, extractor fan and double glazed window to the rear.